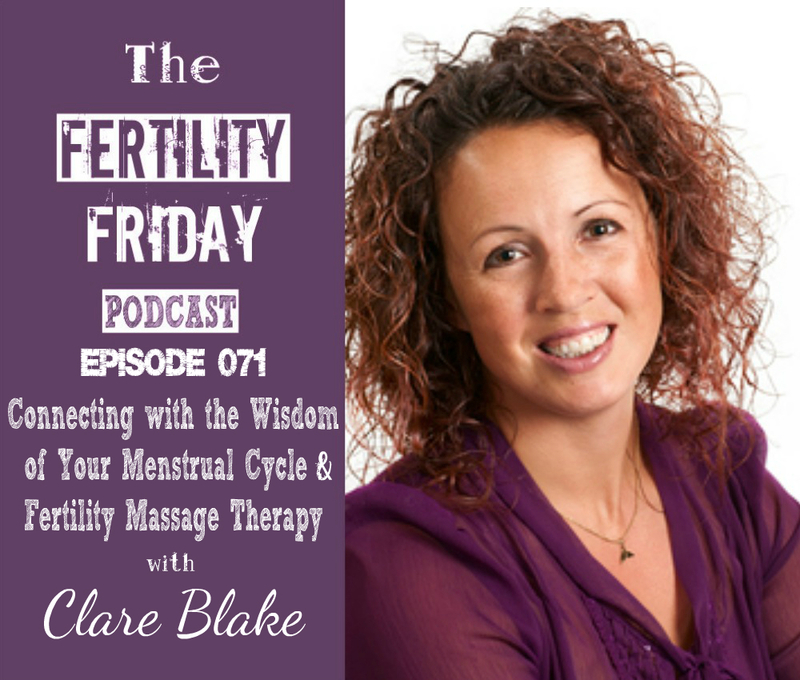 Clare is the founder of Fertility Massage Therapy. Fertility Massage Therapy combines massage and emotional healing to enhance successful conception using techniques such as abdominal sacral massage, pulsing reflexology, and guided visualizations. After qualifying as a holistic massage therapist in the United Kingdom, Clare became one of the few qualified therapists, in abdominal sacral massage (fertility massage). She continued to train in numerous bodywork styles before studying naturopathy and the Billings Ovulation Method in Australia, which provided her a deeper understanding of women’s health. In today’s show, we talk about the benefits of Fertility Massage Therapy, and how this type of work can help women to connect to their bodies and their femininity. Clare incorporates naturopathy and the Billings Ovulation Method into her practice, and we delve into how applying these modalities help women to not only improve their menstrual health and fertility but also to connect with their bodies in a powerful and meaningful way. Why are so many women so deeply disconnected from their bodies, particularly their womb and their reproductive organs? What impact does Fertility Massage Therapy have on women experiencing fertility challenges? How does the position of a woman’s uterus impact her menstrual cycle? How does sitting for long periods of time impact the position of and blood circulation to the uterus? Why is it important to connect to your body’s wisdom around menstruation and slow down a bit instead of “pushing through the pain”? You can connect with Clare on her website, and via email.